Thea Tlsty, pathology professor at UCSF says that ePSCs are stable and mortal, which means that they have a lower risk to transform into tumorigenic (tumor-forming) cells compared to the more unstable embryonic stem cells (ESCs). For now, ePSCs have only been extracted from adult breast tissue, both male and female, while the findings indicate that they may exist in other tissues as well. 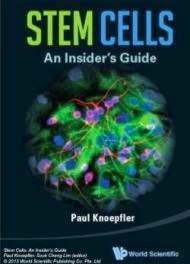 Preclinical studies show that unlike other adult stem cells (e.g. mesenchymal stem cells) they are pluripotent in nature and this is why the UCF researchers consider them to be "an earthquake" in stem cell research. nice article, love the P.S! Wow. My mind is officially blown. Here from Reddit. This is AMAZING! Suffering from charcot Marie tooth, I'm very glad to hear about the neurodegeneration aspects! My question as well- how can this be used to start targeting MS- progressive and relapsing/remitting forms. Also my question-- How can this research target people with MS in the progressive and relapsing/remitting forms? As a member of the Reddit community, thanks for posting this. Love your site. Problem with MS is the autoimmune reactivity in patients, So even if you put in new cells to replace the myelin layers, the immune system will attack again, So the cellular therapy with these ePS cells need to be combined with some kind of immune suppression. Not correct. These cells are from your own body and as such will not be targeted by your immune system as no antibodies are directed against self epitopes. Amazing. How long till stem cells come in a spray can? I'm awful clumsy. LE REDDIT ARMY IS HERE!!!!! I was just going to ask about MS application, as I am a victim of the MonSter, then saw a comment that applies and can only agree :( Had my hopes up for a moment. There IS a section in here about a new study though for MS that you should check out in the "Labels" on the left. I would not be discouraged! The potential that these cells can bring still has to be studied deeply but it opens up a different line of application. You will need cells to replace the myelin sheath, so a combined effort is better than only targeting immune cells or cellular therapy. I thought the implications of the possible progenitor/stem cells found in this paper novel, especially its advantages to normal ESCs and possibility of existing in multiple tissues. It is important to note that by ePSCs, the authors mean endogenous plastic somatic cells, rather than pluripotent stem cells. Their observation that the cells only grew for 58 population doublings and then died indicated that these are not true stem cells, though they maintained that this was advantageous as it prevents malignant teratoma formations. A stem cell is classically defined by its propensity to self-renew without differentiation indefinitely. The key point is that the researchers were able to demonstrate that there are cells in the body with extensive lineage plasticity naturally, and that these pluripotent cells could be extracted and grown in vitro without the need for any exogenous factors to de-differentiate the cells. In addition, the method used to identify and separate cells that had more "stemness" character could be used to isolate more efficient ESC/iPSC populations. Finally, their linking of a tumor suppressor gene and a natural plastic state in cells indicate potential applications in research in both regenerative medicine and cancer. You make a very valid point. Its just the begining of extended studies, with interesting consequences! Could this hold potential treatment for Duchenne Muscular Dystrophy? I wish I'd had Dr. Tlsty as a professor when I was in Dental School. She is a gifted lecturer. Thanks for this great info. How would one apply be the one to screen the potential donors?